There’s a lot to love about skiing and riding—plenty of thrills, challenges and good times to be had—but in order to get out there and enjoy the mountain, you need reliable equipment. Maybe you thought that that pricey board or those expensive skis came mountain ready and would stay that way, unfortunately that’s not the case. Just about everything important in life requires maintenance and a little TLC—your snow gear is no exception. In order to stay safe and keep improving your skills on the slopes, regular care and the occasional tune-up is crucial. 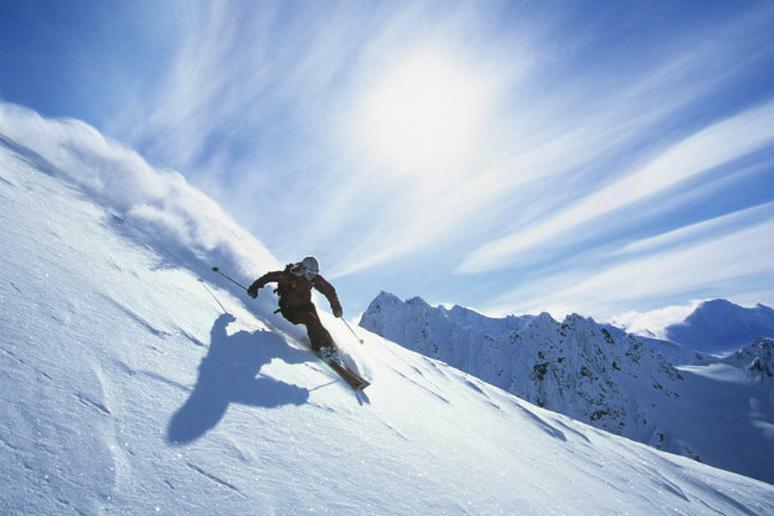 How often should I tune my skis or snowboard? That depends on a few factors—most importantly, how you ski or ride and the snow conditions. Experts taking on tough terrain or the park and pipe will need to care for their gear much more frequently than those sticking to green resort slopes. Similarly, those skiing or riding hard pack and icy conditions will need more frequent tune-ups than those gliding on powdery snow. Most experts recommend frequent waxing and gear checks with semi-frequent tune-ups, but if you can only get your skis professionally serviced once a season schedule the tune-up right before you store your equipment. This end-of-season tune-up will help prevent rusting over the summer, while the wax has time to coat and seep into the base. Another benefit is that your skis or snowboard will be ready at the start of next season. If you’d like to save some money you can do most of the other upkeep yourself. How will I know when my gear needs tuning or wax? First, take a look at the underside of your skis or board. Are there scratches or gashes in the base? Is the base shiny and bright or is it drying out? Is snow sticking to the bottom when you ride? Those are all signs that your gear needs wax, which you can apply yourself if you’d like. There are different types of wax—most recreational skiers should use either universal wax or a warm temperature wax. It’s also important to note that you can wax as often as you care to, some skiers (racers and experts) wax every day. For recreational skiers, regular waxing (every 5-8 days on the slope) will keep your skis and boards quick and easy to control. Next, carefully check your edges, they should be fairly sharp. By lightly sliding your finger along the edge you can determine if there are chips or if the metal is wearing down and getting dull. Sharpening edges is also something skiers and boarders can do themselves, and the edges should be checked regularly to keep turns easy and efficient. Over time and through use you might notice the profile of your skis or board start to change, essentially different sections of the ski are making contact with the snow on turns. You could notice that the bindings need adjusting or that you need a good stone grind. Ultimately, you can handle almost all maintenance yourself (except the stone grind—that requires a specialized machine), if you so choose. A bit of research and some supplies are all you need to care for skis or a board and your local ski shop is always an option too. Above all, regular wax and edge sharpening, paired with a big end-of-season tune-up should suffice for the average recreational skier or snowboarder. And you can prevent a lot of rust and damage by storing equipment in a dark, dry place with a consistent temperature.